Jimmy Cornell said of this new Second Edition, “The pilot charts featured in this ocean atlas are based on weather information gathered by a network of meteorological satellites over the last 25 years and incorporate the consequences of climate change. 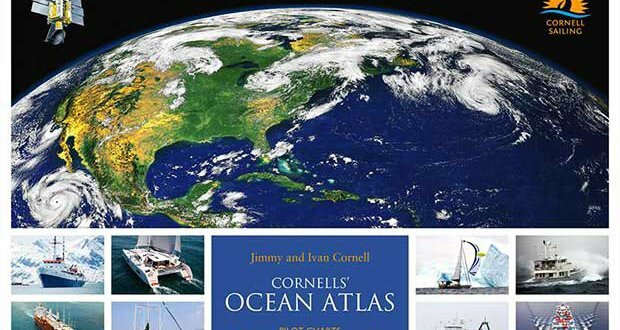 Jimmy Cornell, experienced sailor and bestselling author, has teamed up with his son Ivan to produce a fully updated and revised second edition of Cornells’ Ocean Atlas aimed at navigators planning an offshore voyage. Eighty monthly pilot charts of all oceans for the world show wind speed and direction, current speed and direction, approximate extent of the Intertropical Convergence Zone, the most common tracks of tropical storms, and the mean location of high pressure cells for each hemisphere. Sixty detailed charts of the most commonly sailed ocean routes make it easier to plan a route that takes best advantage of the prevailing weather conditions at that time of year. Sidebars with tactical suggestions have been added to the months when most passages are undertaken. The comments and tips on tactics, as well as weather overviews for each ocean, were contributed by meteorologists and routers specialising in those ocean areas. 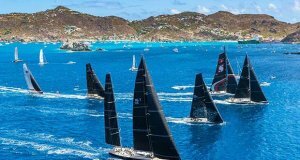 The new edition has been reformatted to incorporate a new feature: monthly windgrams for the most sailed ocean routes. Windgrams are a summary of wind strength and direction derived from the individual windroses along a specific ocean route. They will greatly simplify the work of planning specific ocean passages by showing at a glance a visual summary of wind conditions along the entire length of a chosen route. The first edition, published in 2012, was based on satellite observations undertaken in the previous 20 years (1991-2011). The second edition is fully revised and updated by incorporating data gathered during the last five years (2011-2016). The data now spans 25 years and re?ects any changes that have occurred during this latest period. Although the initial edition of the atlas was aimed at owners of sailing yachts, because there is no other publication dealing with offshore weather conditions, the atlas has also been bought by owners of motor-yachts, cruise ship companies, commercial fishing boats, and even naval ships. 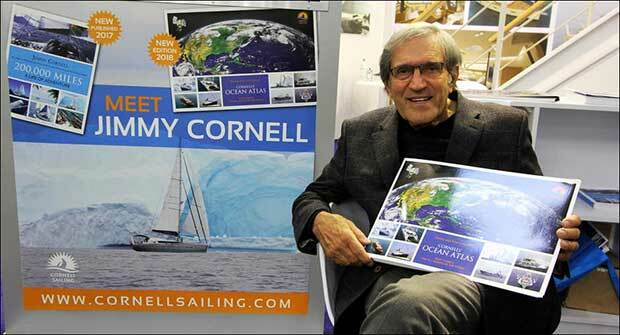 Jimmy Cornell has sailed 200,000 miles in all oceans of the world including three circumnavigations as well as voyages to Antarctica and the Northwest Passage. As the founder of the ARC transatlantic rally, Jimmy Cornell is credited with having devised the offshore cruising rally concept. In the last three decades, Jimmy Cornell has organised 32 transatlantic rallies, five round the world rallies and one round the world race. 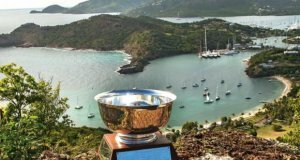 Thousands of sailors have fulfilled their dream of blue water sailing with the help of his books, including the bestseller World Cruising Routes. Ivan Cornell spent most of his childhood at sea and completed his first circumnavigation by the time he was eleven. As an adult he has sailed thousands of miles as crew or skipper on a variety of boats in all oceans including two voyages to Antarctica. He has a degree in computer science from University College London and has worked for the last 25 years in the film industry. This atlas is the result of an ambitious program he wrote to process the data obtained from a variety of sources. Pilot charts really are invaluable for passage planning and these are the best there are. A fabulous resource for long distance voyage planning. A perfect addition to a long distance sailor’s library. A great idea to utilise the NOAA data as a basis for these accurate and well laid-out pilot charts. Cornells’ newly published pilot charts are the answer to the cruiser’s quest for up-to-date reliable statistical meteorological information. For anyone used to the wind and currents charts this is a complete atlas of all the world’s oceans. A huge amount of information distilled into 120 pages. Special Offer: Anyone who wishes to order a personally dedicated copy of the atlas should send an email to uswith “SAIL-WORLD” as the subject. The sender will receive a response with details of how to order and pay, and also to send details or name(s) in the desired dedication. I will personally dedicate and sign each atlas.